At Key Stage 1, we use a phonics scheme to support the teaching of reading. The school use Read Write Inc to support those children who have just started school and are learning the initial sounds for the first time, as well as those who are developing their reading and writing skills. Where further support is needed, Sound Discovery is used. Pronounciation of sounds This video will support you with the correct pronounciation of sounds. Espresso Phonics Please ask for school login details. Reading at Key Stage 1. 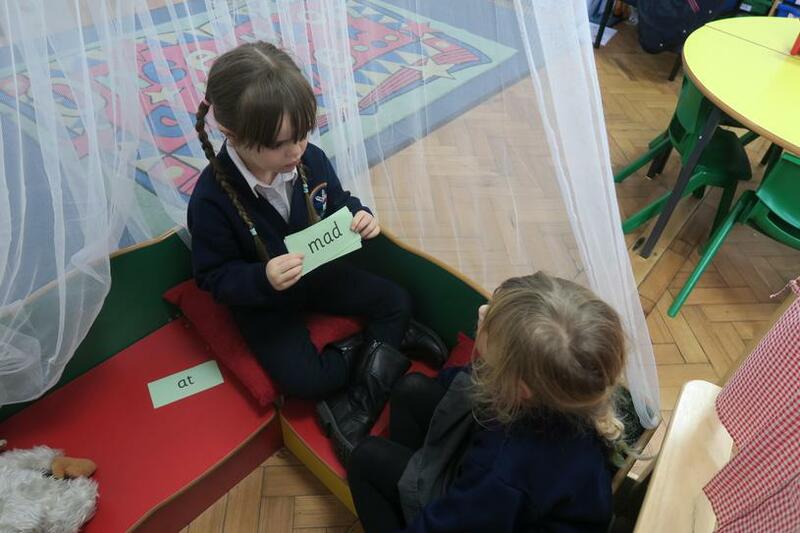 As part of the Read Write Inc phonics programme, children read a text each session. Once this text has been read 3 times, a black and white version of the text is sent home. In doing this, children are confident to read aloud as all the hard work involved with decoding, has previously been done in the sessions. We want children to love reading, so feel strongly about not giving children texts that they will find difficult. To foster this love of reading, children in Reception and Year 1 are also able to choose library books to take home, to enjoy with their families! 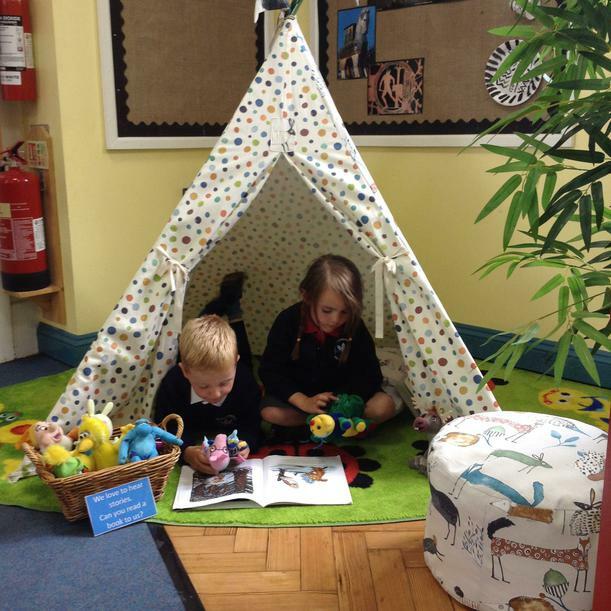 Our new school library is continuing to grow and the children spend sessions learning how to use it, as well as using the space to enjoy a range of texts. We are always looking for volunteers to come in and read to our children and listen to readers, so please do contact the school office for more information.